Toyota Venza Upgrade For 2014. 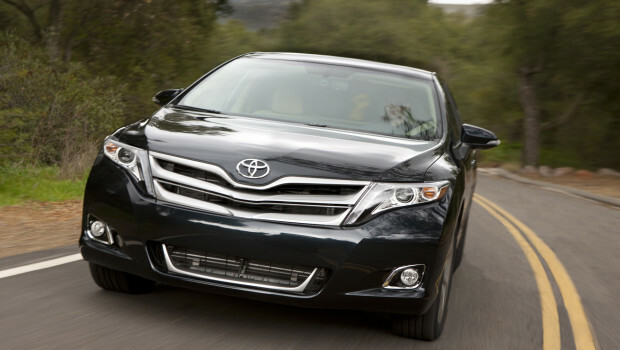 The Venza was created at Toyota’s Calty Design studios in Newport Beach, Calif. The Venza provides SUV flexibility with its fold-flat rear seats, spacious cargo area, elevated driver sightline, and available all-wheel drive. The Venza sports an aerodynamic shape with short overhangs, forward A-pillar, crisp character lines and a low roofline, creating a sophisticated and confident profile. Tight tire-to-body gaps contribute to the refined appearance. 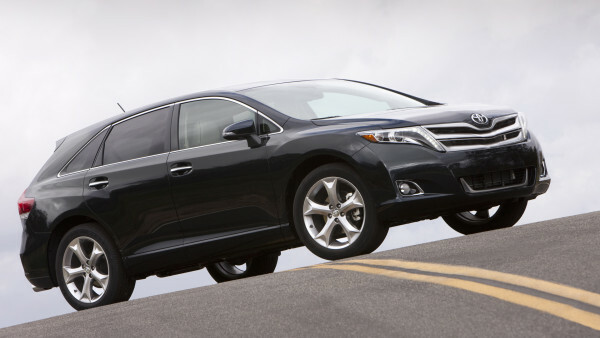 The 2014 Venza offers four-cylinder and V6 models in FWD and AWD versions. The 2.7-liter four-cylinder engine delivers 181 horsepower at 5,800 rpm and 182 lb.-ft. of torque at 4,200 rpm. The 3.5-liter V6 produces 268 horsepower at 6,200 rpm and 246 lb.-ft. of torque at 4,700 rpm. 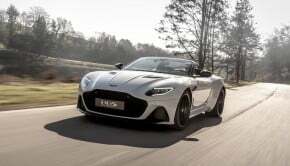 Both engines are teamed with a six-speed sequential-shift electronically controlled automatic transmission with intelligence (ECT-i). The six-speed ECT-i provides an engaging driving experience and helps optimize fuel economy. Uphill/downhill shift logic selects the proper gear for driving conditions and helps provide moderate engine braking during downhill driving. 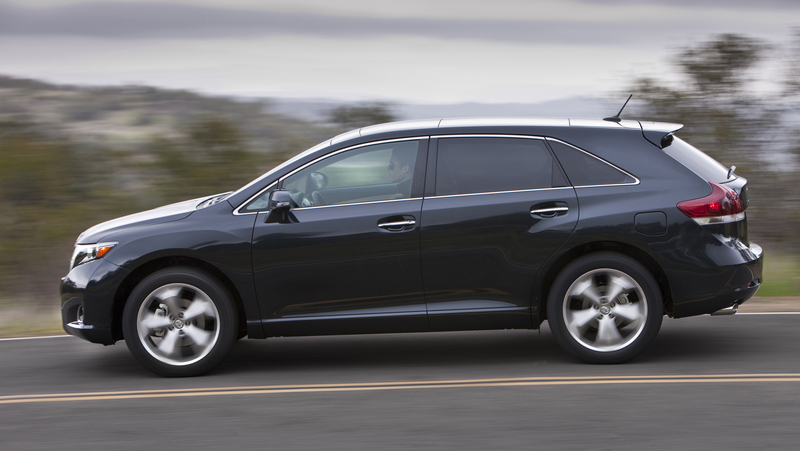 Designed with a lower center of gravity than typical SUVs, the Venza offers agile handling, bolstered by large wheels and tires. The four-cylinder models ride on standard 19-inch, 10-spoke aluminum alloy wheels. Distinctive 20-inch five-spoke aluminum alloy wheels are standard for the V6. Front suspension uses a rigid L-arm-type MacPherson strut with a stabilizer bar, and the rear suspension is a dual-link MacPherson strut setup with stabilizer bar. Electric power steering (EPS), with its ideally weighted steering effort, contributes to the Venza’s spirited driving dynamics. EPS helps provide a more direct steering feel at both high and low speeds and delivers just-right assist when maneuvering the vehicle into tight parking spaces. 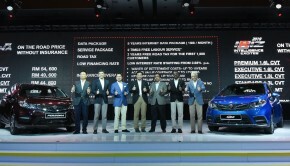 Standard on Venza and all Toyota models, the STAR Safety System features enhanced Vehicle Stability Control (VSC), Traction Control (TRAC), Anti-lock Brake System (ABS) Electronic Brake-force Distribution (EBD), Brake Assist and the Smart Stop Technology (SST). Hill-start Assist Control (HAC), also standard on all Venza models, temporarily provides pressure to the brakes while the vehicle is stopped on an incline to help ensure easier starting with no rollback. 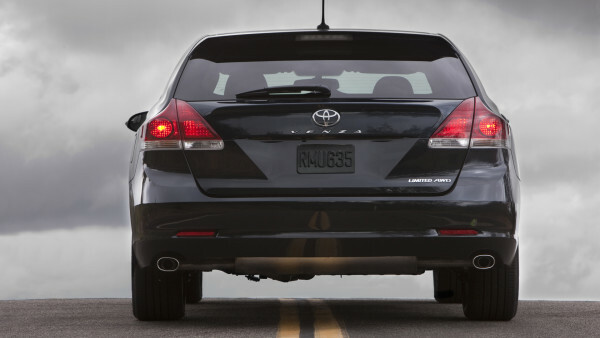 Brake Assist is designed to determine if the driver is attempting emergency braking. If the driver has not stepped firmly enough on the brake pedal to engage ABS, Brake Assist supplements the applied braking power until the driver releases the pedal. Smart Stop offers an additional level of safety by automatically reducing engine power when a vehicle’s brake and accelerator pedals are applied simultaneously under certain driving conditions, helping to bring the vehicle to a controlled stop. In the cabin, Venza provides seven airbags, including a driver’s knee airbag, driver and front-passenger front-seat-mounted side airbags, and front and rear side-curtain airbags. The front seats feature active headrests. In certain types of rear-end collisions, a cable-actuated mechanism will move the headrest upward and forward to help limit movement of the occupant’s head. The flow of the center console creates a unique “60/60” design that gives both the driver and front passenger the feeling that 60 percent of the space is accessible from their seating position. The cabin offers ample head room, shoulder room, hip room and couple distance. All grades have a standard Optitron® speedometer and tachometer. 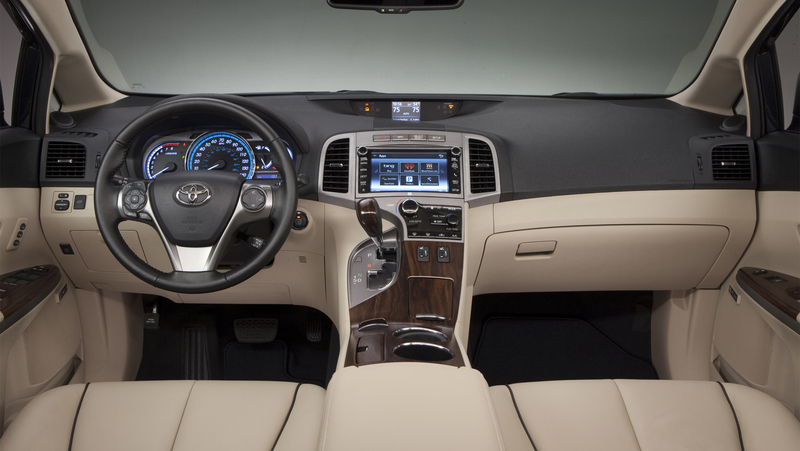 The XLE and Limited grades also include a TFT multi-color center instrument panel display. Dual-zone automatic climate system controls are centrally located on the upper console, providing easy access for both the driver and front passenger. The rear seat offers a generous 39.1 in. of legroom. Cargo-area utility is enhanced with fold-down 60/40 rear seats, one-touch fold-down seat levers and a cargo area cover. The cargo area can hold 36.2 cu. ft. of space behind the rear seats, and the space expands to 70.2 cu. ft. with the seatbacks folded. Interior storage is further complemented by a total of 10 front and rear beverage holders (six bottle holders and four cup holders). These include dual-illuminated, sliding front cup-holders in the center console, two in the rear-seat armrest, and front- and rear-door bottle holders. 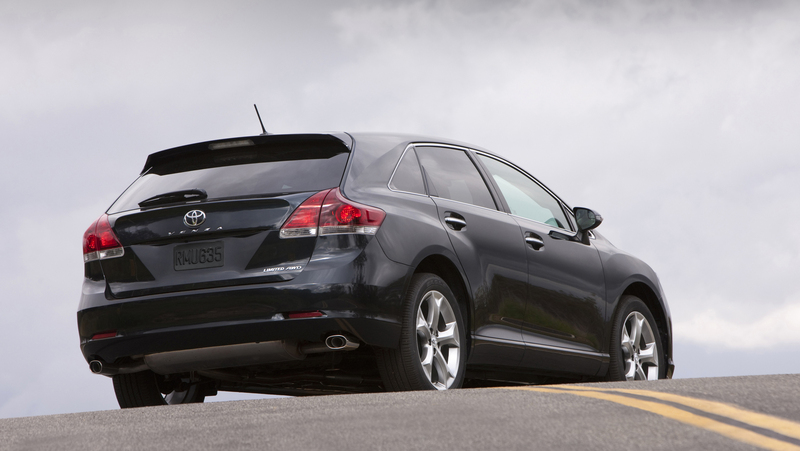 The Venza design is highly practical, too, with a 15.3-in step-in height and a 28-in. rear load-in height that is almost as low as that of the Sienna minivan. Because the closed doors cover the rocker panels, the driver and passengers are protected from accumulated road-dust while getting into and out of the vehicle. The generously sized liftgate opening enhances the vehicle’s utility. A power liftgate with jam protection is available.